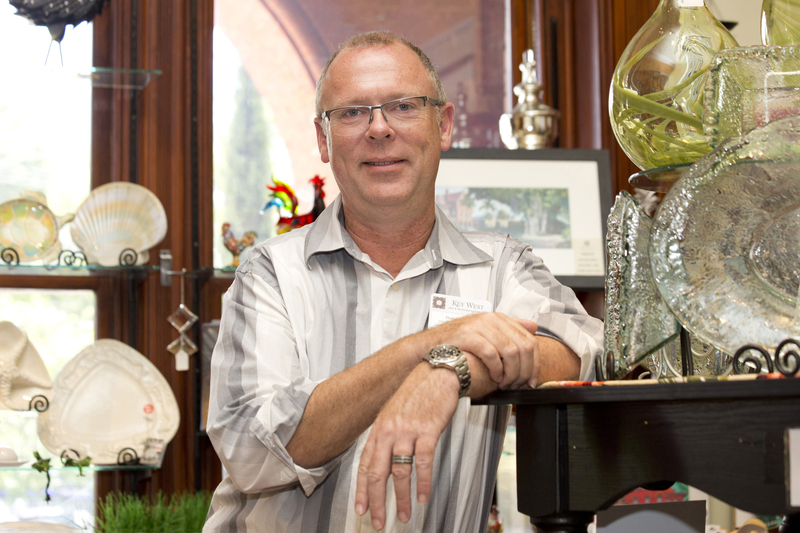 Shopping with the President—Dan Ayers-Price, Key West Art & Historical Society Director of Retail Operations, has been selected as the new President of the Florida Chapter of the Museum Store Association, which also covers all of South America, the Caribbean and Bermuda. Ayers-Price replaces outgoing President Terry Aulisio of the Polk Museum of Art in Lakeland, Florida. The Society’s three museum stores—at the Custom House Museum, Fort East Martello, and the Lighthouse and Keeper’s Quarters— have seen a dramatic increase in sales and community presence under his leadership and direction. For more information on the museum stores or their many events, exhibits, and programs, visit KWAHS.ORG or call Ayers-Price at 295.6616 x104. Your Museums. Your Community. It takes an Island.